This elegant Emirite Hills Address is at home among the luxe locales of the world. 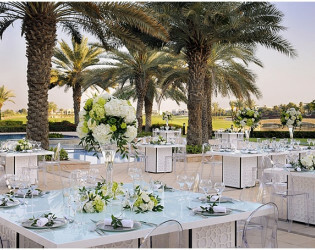 Get your golf game face on in the most luxurious manner with your corporate collective or plan your perfect wedding at this prestigious leisure palace. 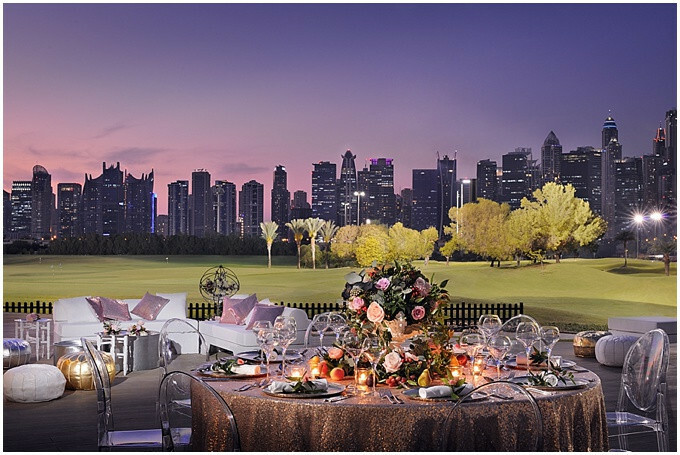 The magnificent hotel and golf course of The Address Montgomerie Dubai offers an intimate and romantic boutique setting for your event. 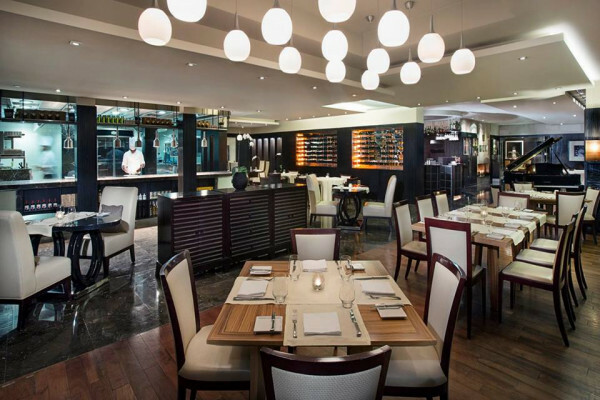 Our experienced, award winning culinary team are on hand to provide expert advice on your extensive selection of menus or to personalise a menu that reflects your individual desires. 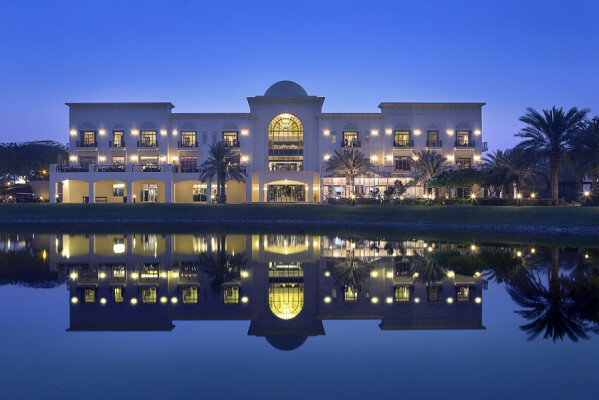 Department of Tourism, Communications and Marketing (DTCM) fees in case of Entertainment - From 2080 AED Other extra charges would be on Entertainment, Flowers, Photography and additional Decorations, however these depend on quotations received from Suppliers. 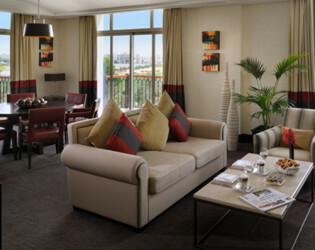 There is an effortless sophistication about The Address Montgomerie Dubai. A chilled yet refined feel, only possible by blending a superb hotel with a phenomenal championship golf course. Beautifully tranquil, yet refreshingly well-connected, this golfing resort is a fabulous location for conferencing and banqueting events. Our venue offers unparalleled views of the Marina skyline. 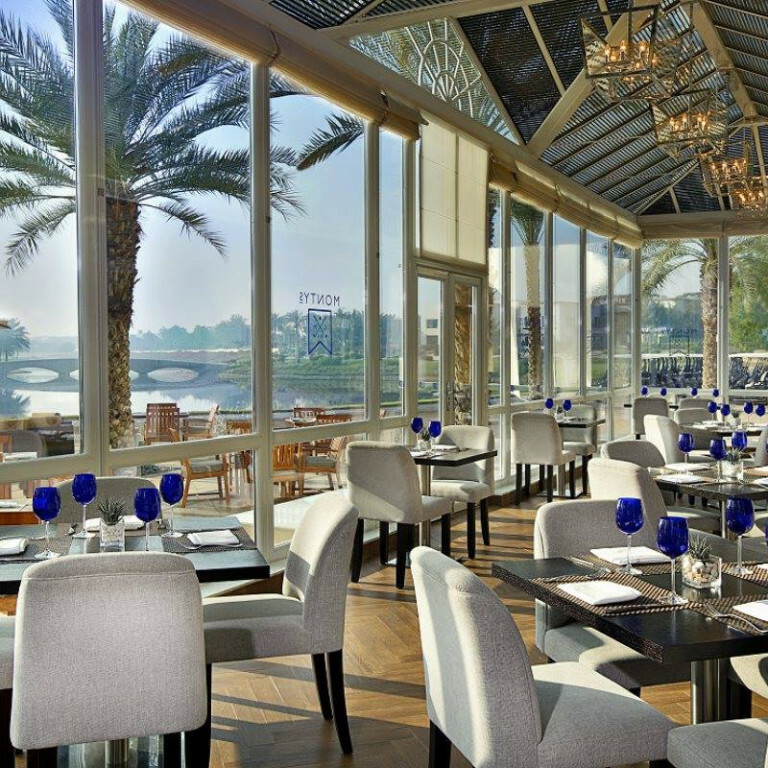 It is an ideal place to host corporate and social events with a backdrop of the fountains and lakes. 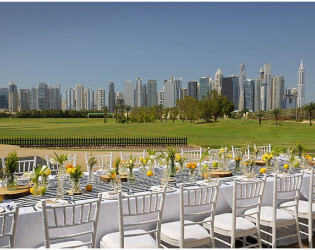 Whether you want to arrange a black tie event or a traditional “mehndi”, this expansive location is perfect. 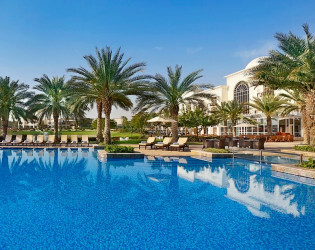 Close access to the Jumeirah Beach, Metro station and Sheikh Zayed Road Venues are located on a Golf course, easy access and probability of discounted green fees for Golf enthusiasts Availability of 21 Rooms and Suites for overnight stay. 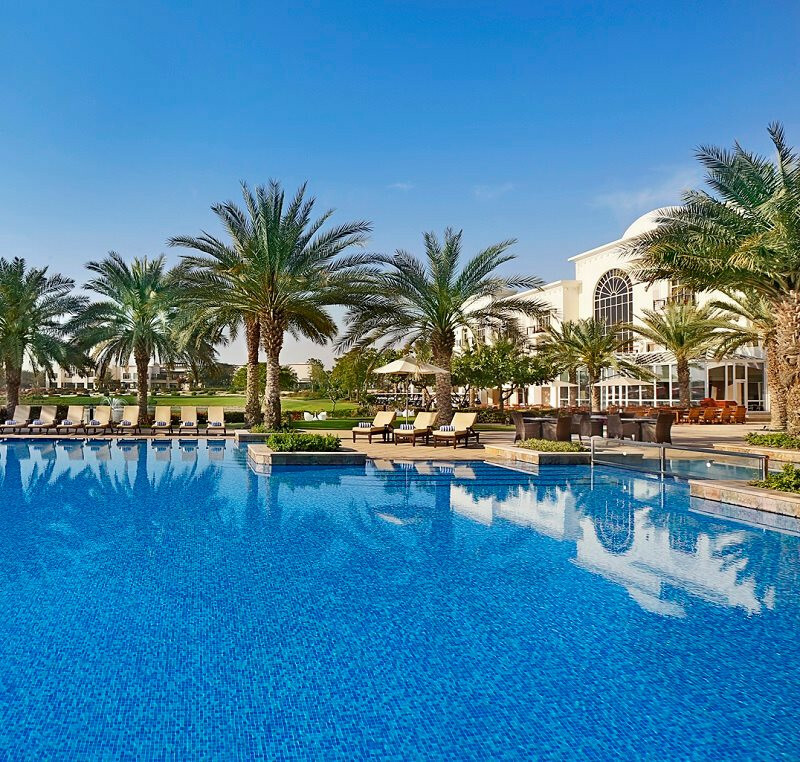 Awards & Notables We are proud to announce that our property has been awarded with Certificates of Excellence this year, by renowned travel website TripAdvisor. In addition, our signature restaurant Nineteen has nabbed a Certificate of Excellence for 2014. 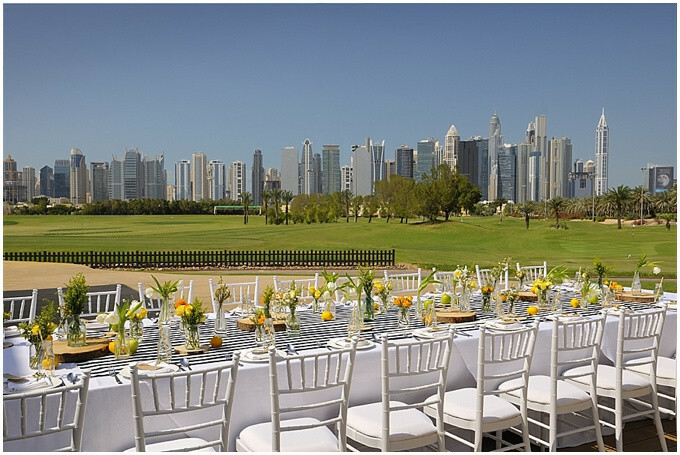 A picturesque venue to host outdoor events are our lush emerald green lawns.With the Dubai skyline towering out of the horizon, it is an unbelievable photo opportunity for newlyweds. 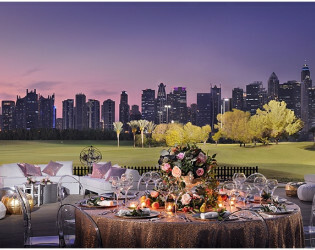 This veranda is just right for hosting dinner for a large group of people. 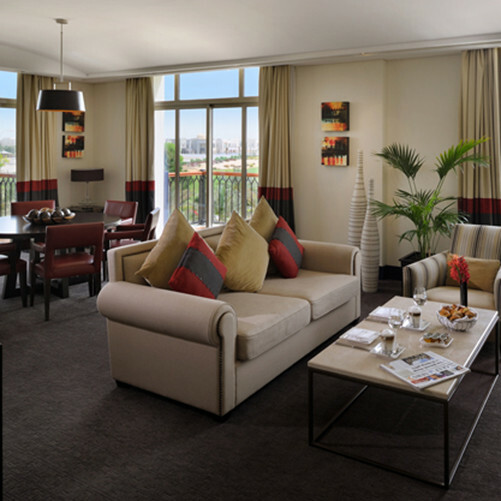 With easy access and views of the Golf Course, bring business partners and associates for an outing that they won’t forget. 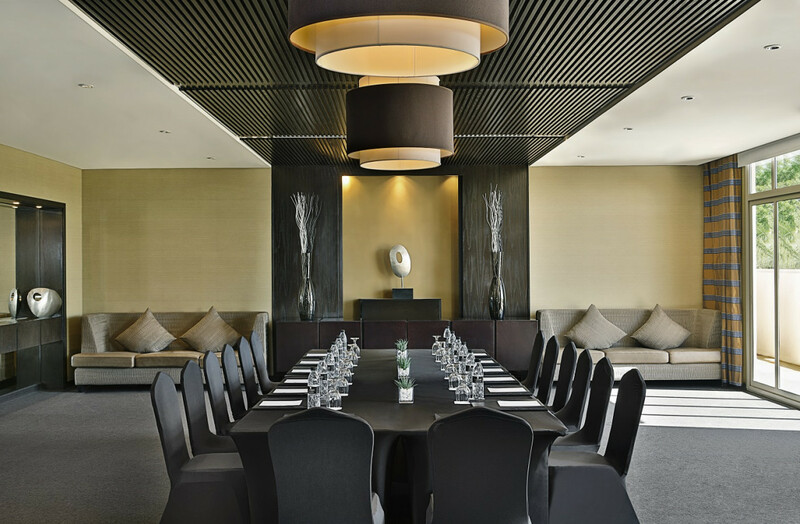 A stylish, modern meeting and conference venue, fully-equipped with sophisticated technology, LCD TVs, floor to ceiling windows and balcony looking out across the course. 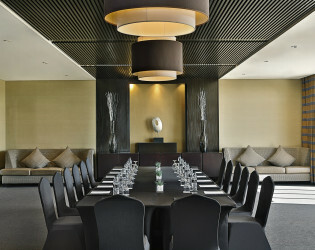 Our conference rooms can seat up to 120 guests theatre-style. MONTY'S Named after the golf legend and course designer, Colin Montgomerie, Monty’s is a fantastic place to relax by the 18th hole while having some delicious international cuisine and drinks. 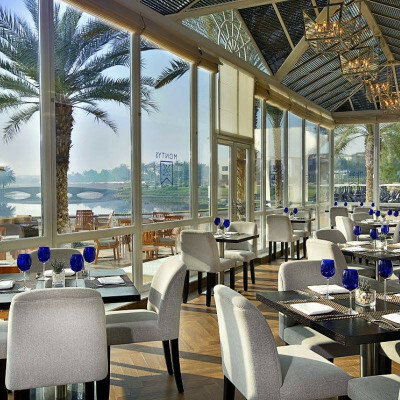 The brand new conservatory is absolutely breath-taking. 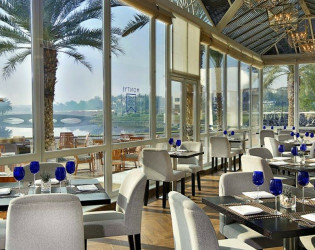 LINKS This lively Family Bistro has exciting theme nights and à la carte menus with delectable dishes that you can enjoy indoors or on the terrace, overlooking our superb golf practice area and the Uptown Dubai skyline. 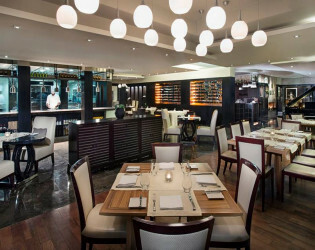 NINETEEN Offering exquisite views, delicious grill cuisine - freshly prepared in a stunning show kitchen, and a 250 plus vintage list, Nineteen truly is the place for quintessential dining. 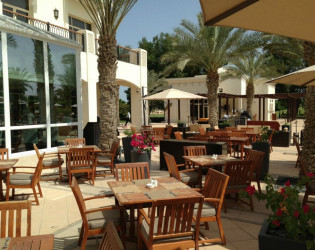 MONTY CRISTO Exclusive to hotel guests and club members, the Monty Cristo offers a fine selection of cigars and and well-aged beverages in a relaxed setting. 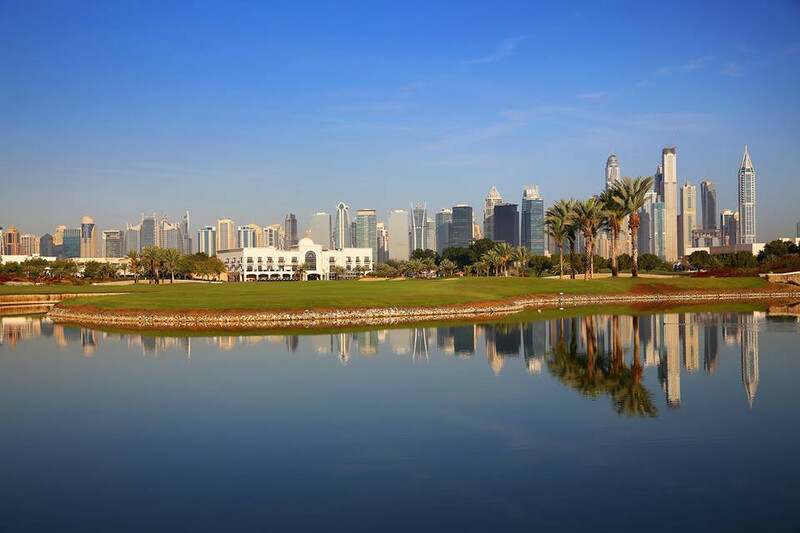 Take advantage of our Stay & Play package and enjoy the 18 hole championship golf course here at The Address Montgomerie Dubai and experience our elegant service and accommodation. 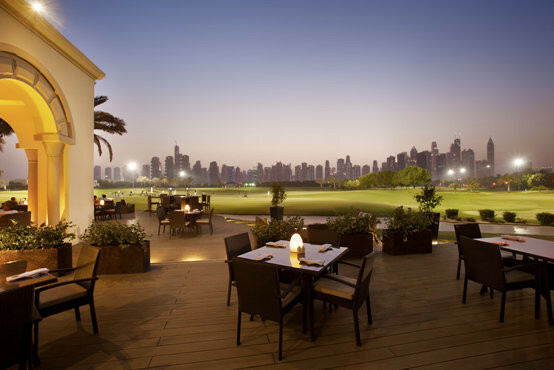 Relax after your game of golf with a hearty meal and a refreshing beverage overlooking the rolling greens - only at Monty's! 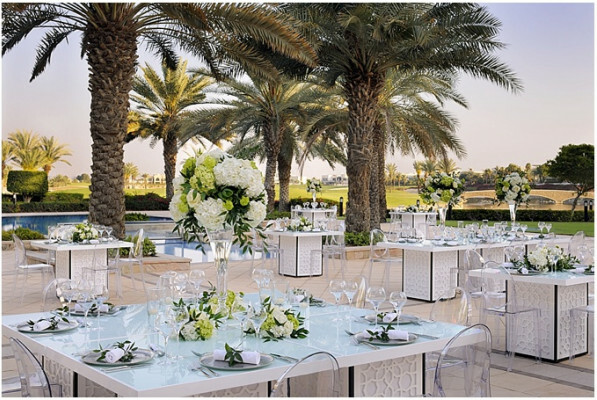 Elegance re-defined in the quiet surroundings of our golf course - wouldn't you want a flow of natural sunlight at your corporate event? 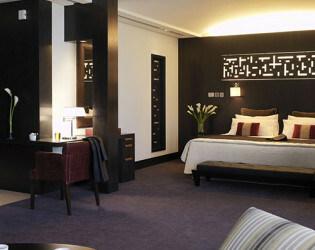 This suite has everything you could need to work, rest and rejuvenate. 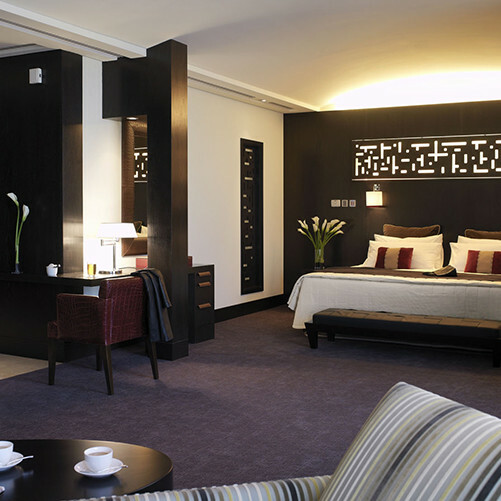 These elegant rooms offer panoramic views of the courtyard. Named after the golf legend and course designer, Colin Montgomerie, Monty’s is a fantastic place to relax by the 18th hole while having some delicious international cuisine and drinks. 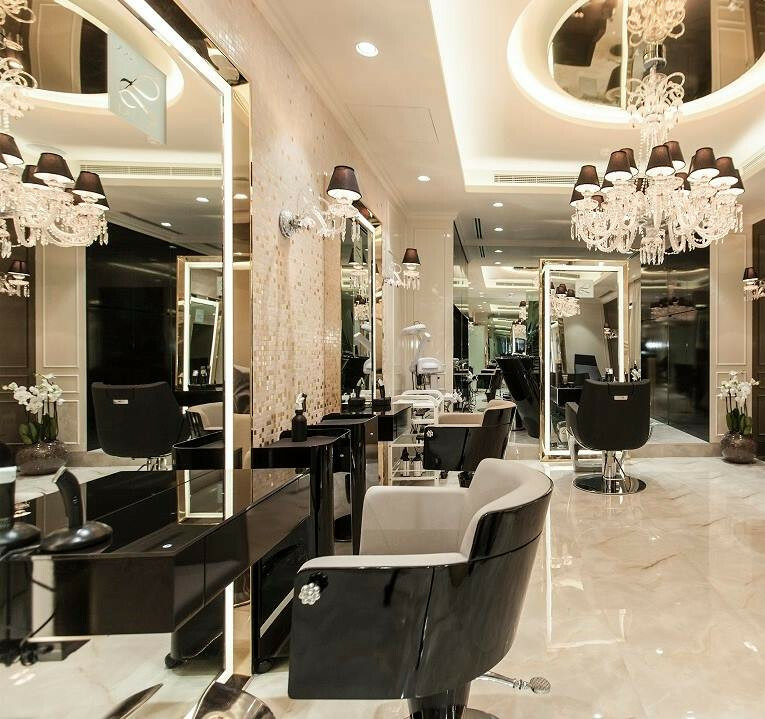 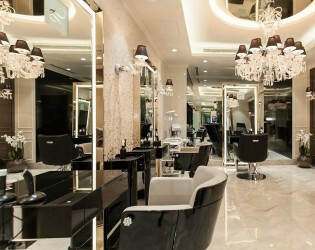 Ladies, get your hair done after a game of golf at the newly opened Laloge in The Academy at The Address Montgomerie Dubai. Looking for an events venue away from the hustle and bustle of the city? 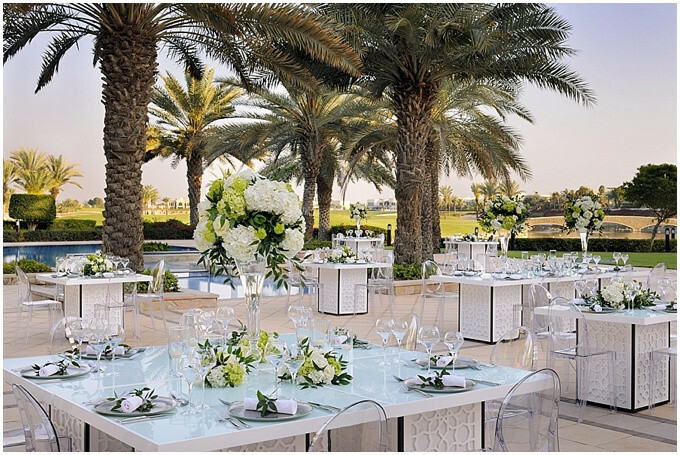 At The Address Montgomerie Dubai, we create magical moments for you and your guests! 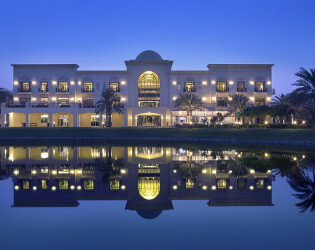 The Address Montgomerie Dubai at night.